After school tutoring is available at Macatawa Bay Middle School Harbor Lights Middle School every Monday through Thursday from 2:45 – 3:25. AmeriCorps members also mentor and tutor students one day a week at each school during certain English and Math classes. Up to 25 students receive homework help and are often referred by a teacher. 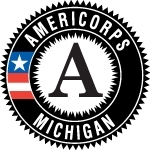 AmeriCorps members at Neighbors Plus Middle School Program are provided through a grant made available from AmeriCorps through Good Samaritan Ministries. Good Samaritan Ministries recruits, trains and places AmeriCorps members in the community as part of the Faith In Youth Partnership. For more information, please visit www.goodsamministries.com.